Atlantic Pacific at Atlantic College’s Project Week, 2018. Atlantic Pacific (AP) was in residence at UWC Atlantic College during March, 2018, for an exciting Project Week: students were challenged to further the charity’s mission — to put lifeboats where there are none — in a variety of ways. AP worked with 35 Atlantic College students across a range of initiatives. Some of these included developing social enterprise schemes, charity business initiatives and educational programmes in local schools. 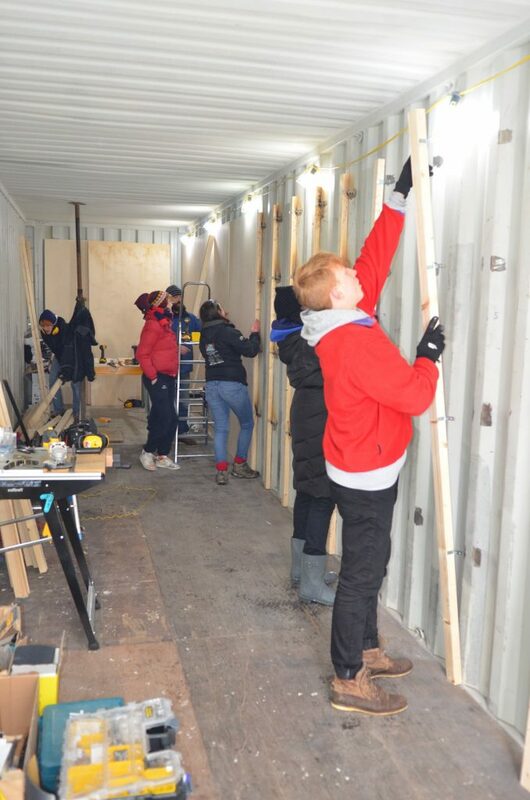 Meanwhile, others were hard at work on more practical tasks, namely converting a 40ft shipping container into a Lifeboat in a Box, AP’s mobile lifeboat station. Over the 5-day project, students developed a myriad of new skills and learnt about the establishment of a charity. While planning business strategies, they had the opportunity to experience firsthand the complexities of running a social enterprise. Students working with Kate Sedwell, one of Atlantic Pacific’s directors, spent the week in teams, forming strategies to partner with local schools, businesses and communities. They were tasked to fundraise for the charity, develop business plans to raise money and educate children about the work of AP.